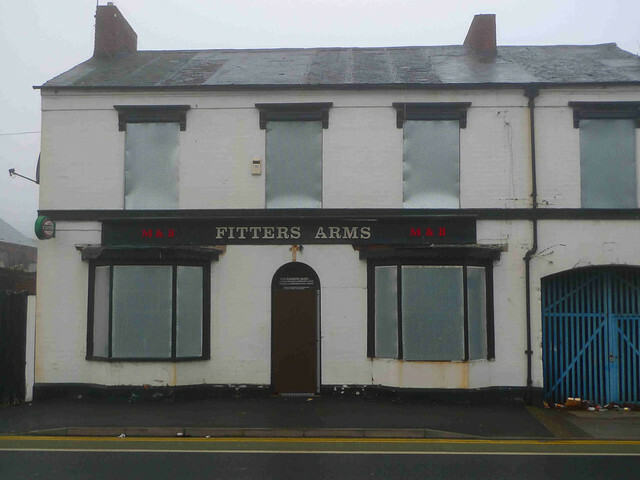 A sad time for us who remember the happy (and not so happy) Saturday nights at the Fitter's, Hatherton St, Walsall. The hoardings have gone up and the pub will be coming down. Photo ... and happier times. Will the angels play their harps for the old Fitters and its ghosts? I remember Barry telling me that on the night of the opening of the folk and skiffle club - they started queueing round the block before six o'clock. Do you remember the rosette on the ceiling? I used think it was Victorian - perhaps made of gutta percha. I did my first ever floor spot there. Good memories of some great Saturday nights. "I'm a roving rambler, I'm a fitter to me trade...". Oh Dear! We played regularly as a resident group at the Fitters in the mid 60's with the late Barrie Roberts, John Molyneux and Mike James. I'm still in touch with Mike. Can't believe it was all those years ago, they were very, very happy times. The Fitters will be much missed.